Compare business mobile phone plan providers Optus, Telstra and Vodafone on their customer service, network coverage, plan flexibility, billing, value for money and overall satisfaction. ^ By clicking on a brand or ‘details’ button, you will leave Canstar Blue and be taken to our referral partner's retail plans to compare. You agree that Canstar Blue’s terms and conditions apply to this referral. If you click on a brand or ‘details’ button where we do not have a referral partner, you will be taken to a brand page on Canstar Blue. Canstar Blue research finalised in July 2018, published in August 2018. 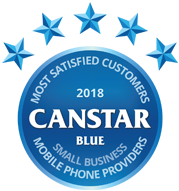 Sharing the winnings, both Optus and Vodafone secured top spot in Canstar Blue’s customer satisfaction ratings for business phone plans in 2018, rated five stars for value for money and overall satisfaction. A business is only as good as its communications, so when it comes to picking a new phone and plan for business purposes, you can’t afford to take any chances. The last thing you’ll want is clients hanging up on you! But how do you know which mobile phone provider and plan best meets your specific business needs? Canstar Blue’s 2018 review of business phone plans and providers can offer some guidance. We’ve surveyed more than 500 business owners and decision-makers across Australia, to find out how they rate their phone providers based on important factors including network coverage, plan flexibility, customer service and value for money, to help you make a more informed decision. Should you hang up on your business telco? These ratings will help you answer that question. Optus also rated five stars for network coverage, plan flexibility and value for money. Vodafone also scored five stars for customer service, billing and value for money. Telstra earned five stars for network coverage, but scored three or four stars in other areas. Optus and Vodafone have both enjoyed spells as the sole phone provider at the top of these ratings, but this year there is no separating them. This year’s survey identified value for money (29%), customer service (24%) and network coverage (21%) as the biggest drivers of satisfaction for business phone customers, with plan flexibility (15%) and billing (11%) slightly less important. Perhaps keep this in mind when it comes to decided what telco to choose. With survey respondents splashing out an average of $120 a month on their business phone plans – and two-thirds (66%) always sticking with the same phone provider for business purposes – it pays to give a little more thought to where you spend your company’s money. Read on to see what the three providers in this review have to offer business customers. Optus has a wide range of business mobile phone plans, whether you operate as a sole trader, or have a whole workforce behind you. 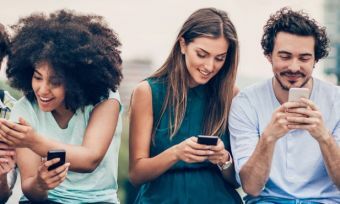 Offering SIM-only plans, as well as phone and plan contracts, Optus has an option for those who only occasionally use their phone, as well as those who can’t live without theirs. For sole traders and SMEs, phone and plan options start at $45 a month, with the most expensive option setting you back about $125 per month. 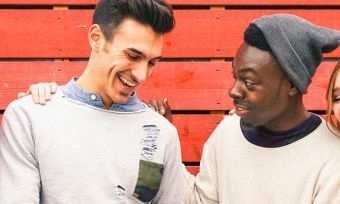 Most plans offer bonus data, as well as unlimited talk and text nationally, with optional streaming services also included for those who like to play after their work. The more expensive options also include unlimited talk and text to international numbers, with add-on international roaming available should you choose to do business overseas. For the phone and plan options, Optus offers a range of phones, including the iPhone XS, Samsung Galaxy S9 and Note 9, Oppo R15 and Google Pixel 3 over 24 -month contracts, with tablets and iPads also available. If you want to upgrade handsets after 12 months and start a new contract, you can do so at a cost of $99. SIM-only plans are also available, with Optus offering both 12-month plans, or the option to keep things on a monthly basis. The 12-month plans start from $35 a month, with the most expensive option setting you back about $55 a month, while the month-by-month options will cost you between $45 and $75 per month. Each SIM only option offers unlimited national talk and text, along with at least 3GB of data and optional extras like music or TV streaming. Optus also offers data pooling, which allows businesses to split larger data plans over multiple phones, allowing employees easier access to online services. If you operate a business with up to six Optus mobile services, you can use the ‘My Account’ feature to manage all phones online, allowing business owners to set up usage alerts, activate SIM cards, as well as recharge or pay bills. You can also download the My Account app for easier use, giving businesses plenty of options. If network coverage is an area of concern for you, Optus offers a Coverage Commitment – stating that if you experience coverage issues, you can cancel your plan without any fees/charges. In addition to overall satisfaction, Optus rated five stars on value for money, network coverage and plan flexibility, with four stars for billing and customer service. Vodafone offers a number of SIM-only and phone-and-plan options for SMEs to choose from, while one of its big selling points for businesses is the opportunity to earn Qantas Points, which has obvious appeal for those who regularly travel interstate or overseas. For those looking to grab a phone plan package, Vodafone plans begin at $35 per month, which includes data and unlimited talk and text to national numbers, with the most expensive deals costing around $80, which include international calls, additional data and Qantas Points through Vodafone’s Red Plus Plans. SMEs can choose between handsets such as the Samsung Galaxy S9, as well as the iPhone 8 or iPhone X, with Vodafone also offering Loyalty Discounts on selected handsets for those looking to score a bargain. Plans are available on 12, 24 or 36 month contracts, providing plenty of flexibility in this regard. Tablets are also available over 12, 24 and 36 month contracts, giving SMEs another option for those who prefer to work on bigger screens. SMEs can choose between Samsung and iPad models, in addition to an Alcatel model with Pocket Wi-Fi, making it easier for working on the go. Various Vodafone ‘Passes’ are also now available for purchase, allowing users to stream and/or use their favourite apps without using their plan’s included data. SIM-only deals come with a choice of 12-month plans, or paying month-to-month. Prices range between $35 and $80, helping to suit all budgets. The more expensive plans include additional features, including overseas roaming and international calls, as well as bonus Qantas Points, with all plans having unlimited calls and texts to national numbers. As well as five stars for overall satisfaction, Vodafone also achieved the only five-star reviews for both customer service and billing. It also scored top marks on value, with four stars in the other areas. Telstra has plenty of options to suit your business and workforce. Generally offering the largest network coverage, it might also prove the go-to telco for those in the country, in addition to SMEs located within our major cities. If you’re after a phone package, Telstra offers a number of pricing options to choose from, allowing you to personalise to your tastes and needs. Plans are over 24-month contracts, with pricing beginning at $59 a month, with the most expensive option costing $199 per month. Each plan offers unlimited talk and text to Australian numbers, with overseas calling and roaming available on plans from $99 upwards. 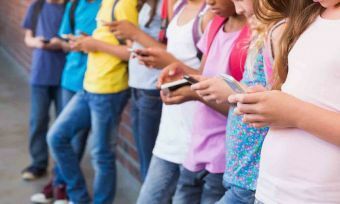 Telstra’s $199 plan includes Voice 2 Text, along with Business Grade Data, allowing for a user-friendly experience while streaming or web searching. For those looking for something bigger, Telstra offers tablets on 24-month plans, allowing SMEs access to the 4G network on tablets such as iPads, Samsung Galaxy and Telstra’s own Enhanced Tablet. If a SIM-only plan is more what you’re looking for, Telstra provides 12-month plans and monthly deals. In the case of the 12-month plans, prices start at $39 per month for the Small package, with the Extra Large package costing $99 per month, but this comes with unlimited national and international calls and texts, international roaming and Business Grade Data. The month-to-month options are more expensive, starting at $49, but may be worthwhile in the long run if you prefer flexibility. Each plan includes a data package with unlimited talk and text, with international numbers available with the more expensive plans. 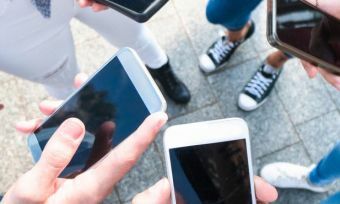 Similarly, SMEs can also purchase add-ons such as Data Share SIMs, which allow users to share their data packages across additional phones and tablets if you’re looking to get multiple handsets. An added bonus is that Telstra offers Business Apps, including Office 365, DocuSign and a choice of cloud storage options to help you keep your business running smoothly. Each app will incur a monthly fee, but it may be worth the money if you need specific apps to help run your business. Which provider should I use for my business? 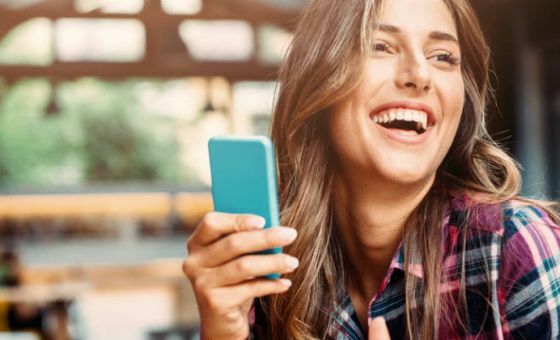 Choosing a phone plan to suit your business needs can be a challenge, with not only the big three telcos but also a number of others competing for your loyalty. Add into the mix factors like where you operate, and how many staff you have, and choosing a phone plan can be as big of a job as running your business. It’s for this reason that many businesses simply set and forget with their current provider, but this could prove a costly mistake in the long-run. Like you would with your personal phone plan, shopping around is key to finding a better deal. With 61% of survey respondents admitting they could probably get a better deal if they shopped around, it seems many Aussie businesses know they could be doing better. If your business is looking to cut costs or simply get a better deal, we hope our customer ratings provide a helpful guide. Canstar Blue surveyed 812 Australian adults across a range of categories to measure and track customer satisfaction, via ISO 26362 accredited research panels managed by Qualtrics. The outcomes reported are the results from customers within the survey group who currently have a phone plan that they use for business and their business pays for – in this case, 580 people.